This course covers predictive modeling using SAS/STAT software with emphasis on the LOGISTIC procedure. This course also discusses selecting variables and interactions, recoding categorical variables based on the smooth weight of evidence, assessing models, treating missing values and using efficiency techniques for massive data sets. 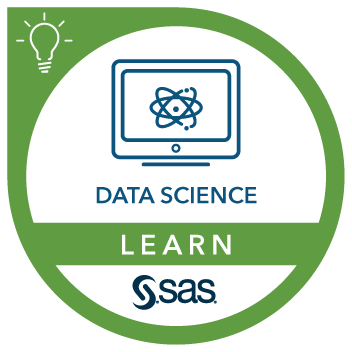 This course can help prepare you for the following certification exam(s): SAS Advanced Predictive Modeling, SAS Statistical Business Analysis Using SAS 9: Regression and Modeling. assess model performance and compare models. have completed a statistics course that covers linear regression and logistic regression, such as the Statistics 1: Introduction to ANOVA, Regression, and Logistic Regression course.